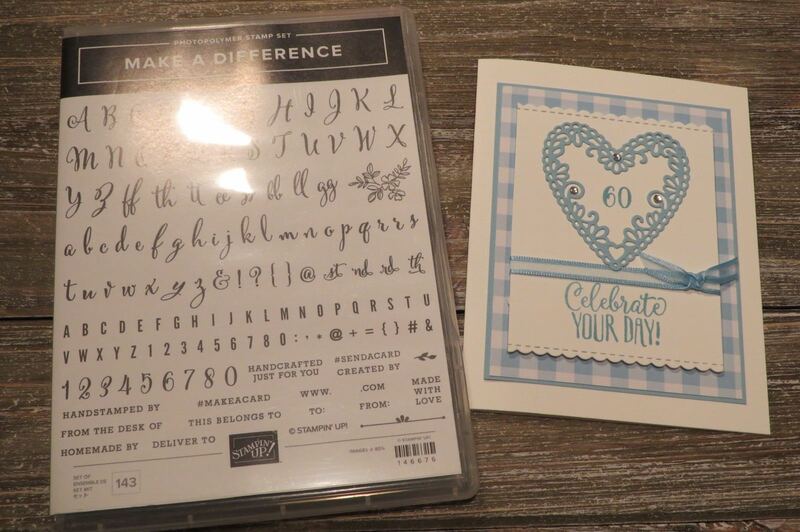 Stampin'Up is coming out with a new Occasions catalog January 3. One of the items you can purchase is the Be Mine Stitched Framelits. 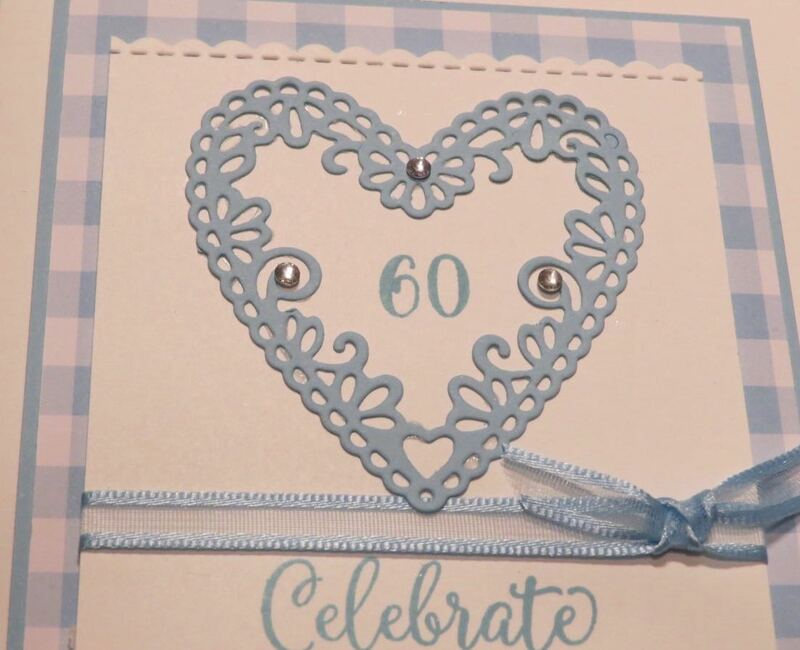 It can be bundles with a Coordinating Meant to Be stamp set which is perfect for Valentine's Day cards. Now if you don't make a lot of Valentine's Day cards, just buy the framelits. Wow!!! They are amazing! A lot of the framelits add stitching to the shapes. Check out my birthday card I made for a friend. It's her 60 birthday so I added the numbers from the Make a Difference stamp stamp set and the greeting is from Hello Cupcake. 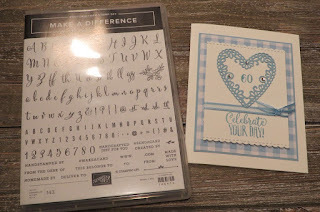 Hello Cupcake stamp set and the ribbon are Sale-a-bration items which means you can get one of them for FREE with a $60 purchase starting Jan 3. Yay! If you live in Canada, I can help you with your order.